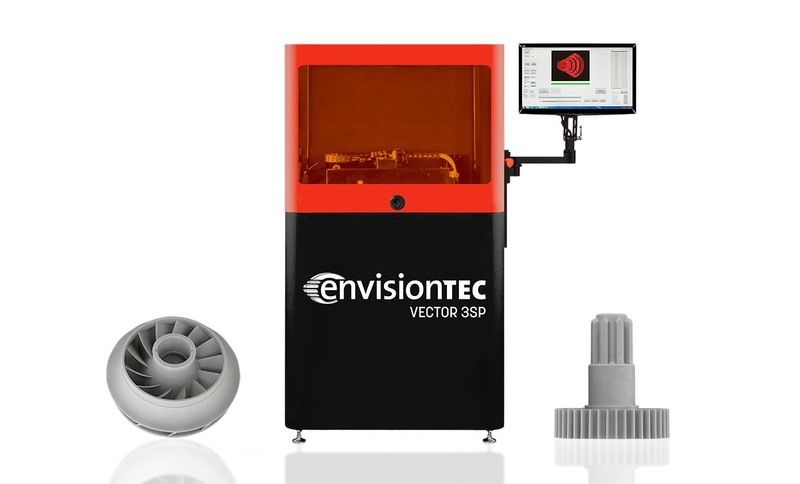 DEARBORN — The Dearborn-based 3D printer manufacturer EnvisionTEC has announced that the Noblesville, Ind.-based rapid prototyping firm Realize Inc. has adopted EnvisionTEC’s Vector 3SP 3D printers for its customers. Realize has been a leading rapid prototyping company since 1999. The company now owns more than a dozen 3D printers that service a wide range of customers in the automotive, medical, electronics and consumer goods markets. Realize took delivery of its Vector 3SP from EnvisionTEC in the spring. The Vector 3SP offers a build area of 300 x 200 x 275 mm (11.8 x 7.9 x 10.8 inches) with XY resolution of 100 µm (0.004 inches), and it can print a variety of engineering-grade materials, including tooling materials for short-run injection molding. Launched in 2013, EnvisionTEC’s patented 3SP (Scan, Spin and Selectively Photocure) technology uses a unique process to cure photopolymers in a large vat up to 457 x 457 x 457 mm (18 x 18 x 18 inches) in the Xede 3SP model. A multi cavity diode laser is reflected off a mirrored drum housed in a moving gantry that can efficiently scan across a very large vat to cure material. A white paper detailing how 3SP is superior to SLA for manufacturing and production can be found at EnvisionTEC.com/learn3SP. Founded in 2002 with its pioneering commercial DLP printing technology, EnvisionTEC now sells more than 40 printer configurations based on six distinct technologies that build objects from digital design files. Posted in 3D PrintingTagged 3D printers, Dearborn, EnvisionTEC, featured, Indiana, Noblesville, Rapid Prototyping, Realize Inc.